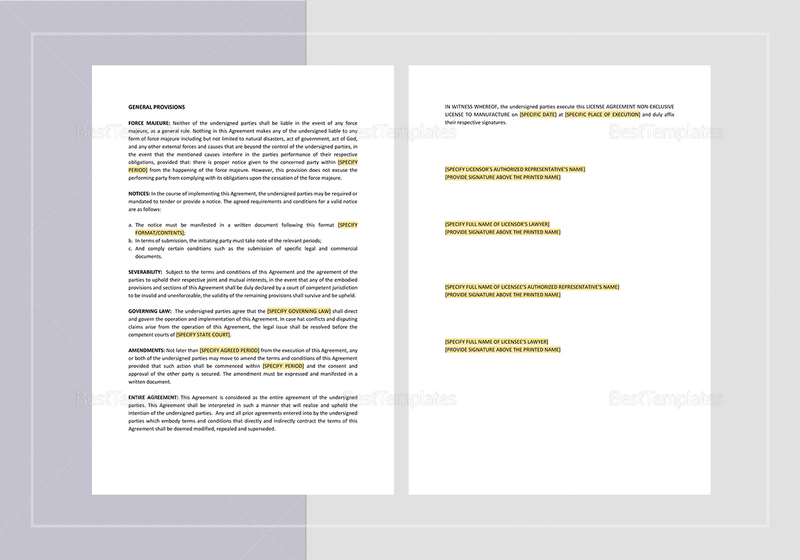 Have a manufacturing non exclusive agreement drafted in minutes using this License Agreement Non Exclusive License to Manufacture Template. 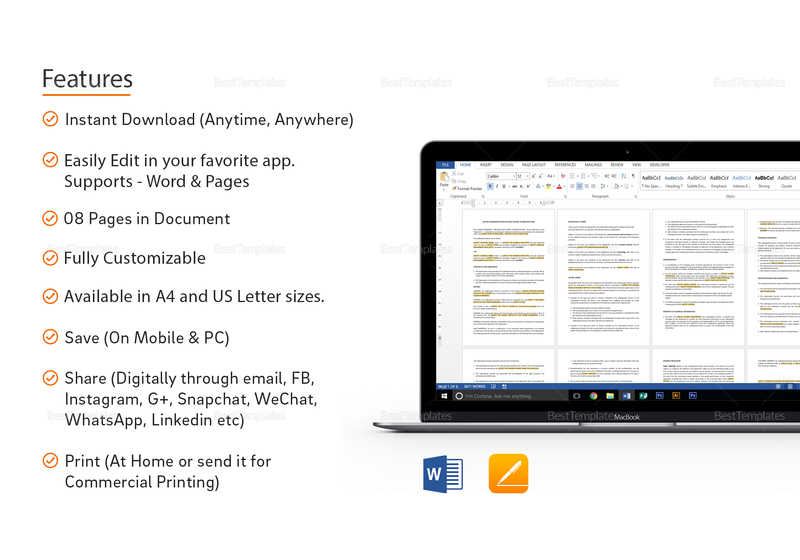 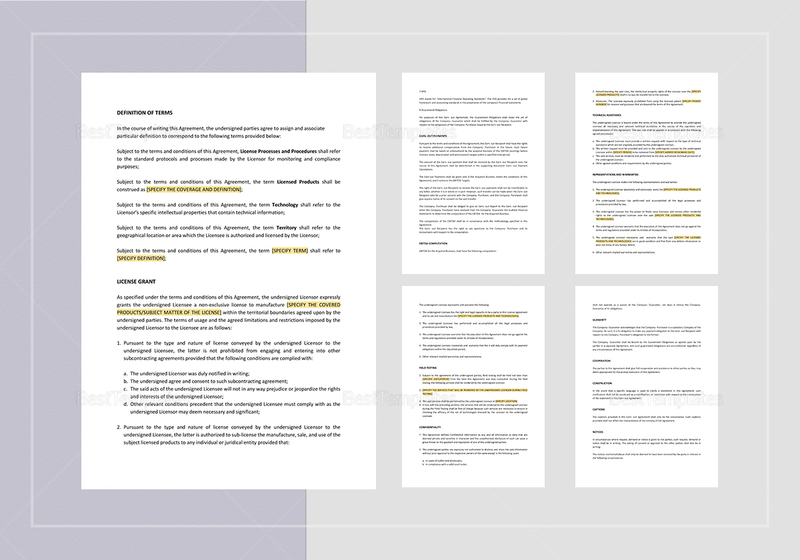 Easily edit this 8-page document using your choice of application that is compatible with MS Word or Pages file formats. 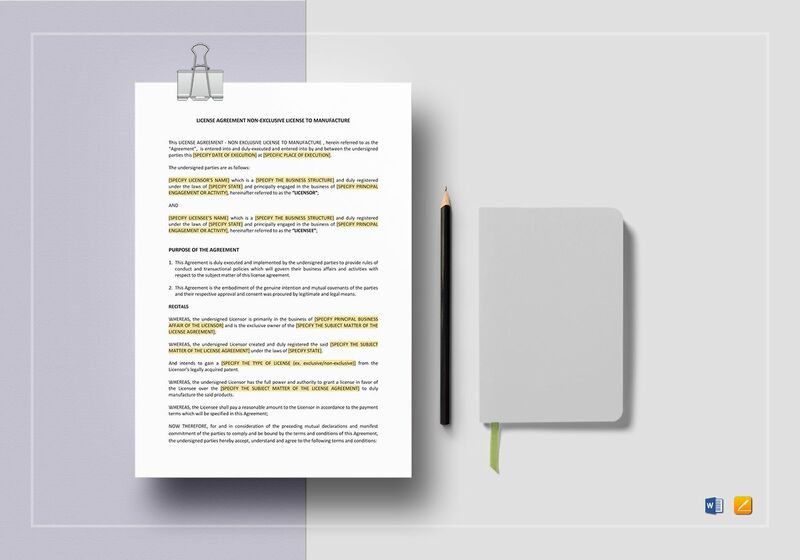 Just replace the highlighted portions with your information and be ready to print out a draft agreement for review and finalization.